There are 500 raffle tickets for this raffle! We will continue to sell tickets throughout the summer fishing season. The winning tickets will be drawn on Labor Day – September 3rd, 2018, at the Wild Strawberry Lodge. You can buy raffle ticket(s) while you are here fishing this summer! 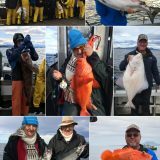 This is a great opportunity to win a fishing trip for two people at the Wild Strawberry Lodge as one of FOUR Terrific Prizes to be raffled off as a fundraiser for the Alaska Charter Association (Alaska Charter Association)! 1st Prize– A 3 day / 4 night fishing & lodging package for two people with a $5,990 value! 2nd Prize– A 2 day / 3 night fishing & lodging package for two people with a $4,150 value! 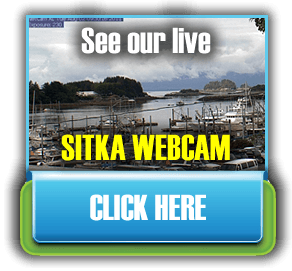 Alaska Premier Charters, Inc. 724 Siginaka Way Sitka, AK 99835. Even if you have already purchased your fishing trip for 2018, you can still buy a raffle ticket(s) and have a chance to be reimbursed for up to the value of your prize ( from $5,990 to $1,000) by applying it to your booked fishing trip, OR add more people to your fishing party! 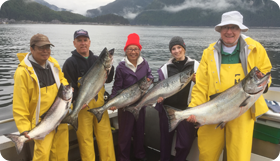 This important benefit will raise money to help the Alaska Charter Association travel to and attend important fisheries meetings to protect Alaska’s vital sport fisheries. 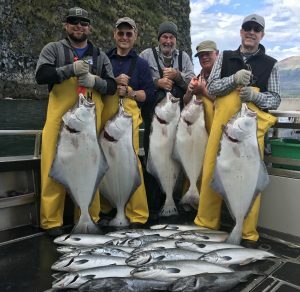 Alaska Charter Association’s work is crucial to the viability of the sport fishing sector in a commercially-driven industry. Alaska Charter Association is there to attend these meetings, which may affect your future sport fishing access to fish resources in Alaska. Please consider helping out the Alaska Charter Association with your financial support by buying a raffle ticket(s). The four winning raffle tickets will be drawn on September 3rd, 2018 and you do NOT have to be present to win!